Time to put aside the world of failed banks, Ponzi schemes and billion-dollar bailouts. 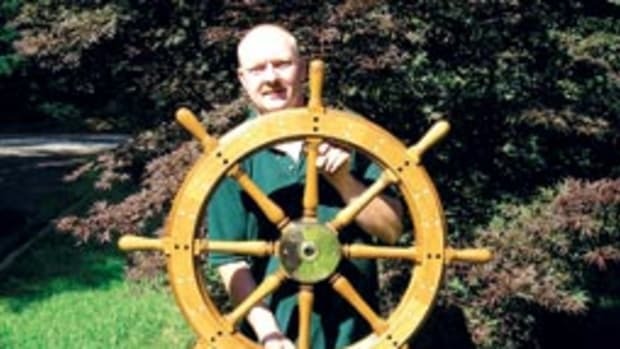 Let’s talk about boats. Don’t feel guilty. All the nation’s problems will still be there when we’re done. But this boat just might have a lesson to impart about where we’ve come from, where we are and the values that might lead us out of trouble. A boat to counter the Bernie Madoff age. In a world of bling, Betty Hunt has grace. In a world of complexity, she’s simple. In a world of excess and overstatement, she’s practical and down-to-earth. 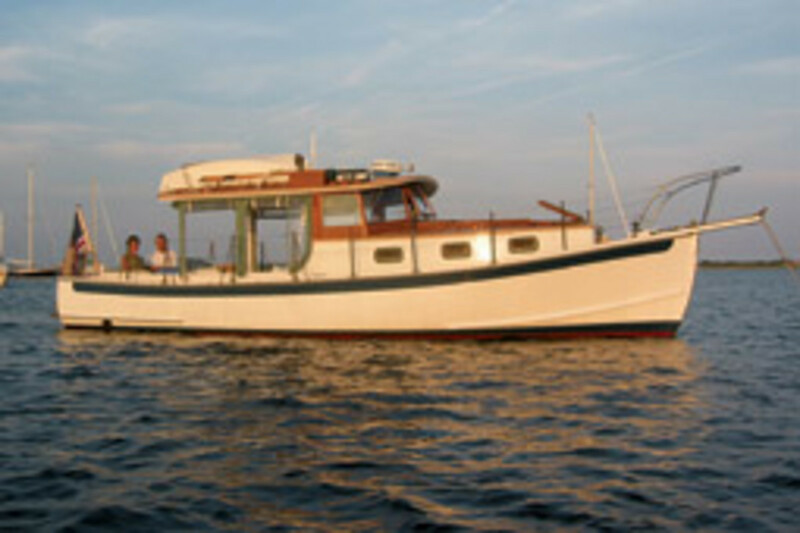 And from designer to builder to her current owner, she’s been a very personal boat. Hale, now in his 80s, called on his years of experience in designing Betty Hunt for himself and his first wife, Kelsey. (The boat’s original name was Lady Kelsey.) They cruised her, and he retains happy memories of their many voyages. 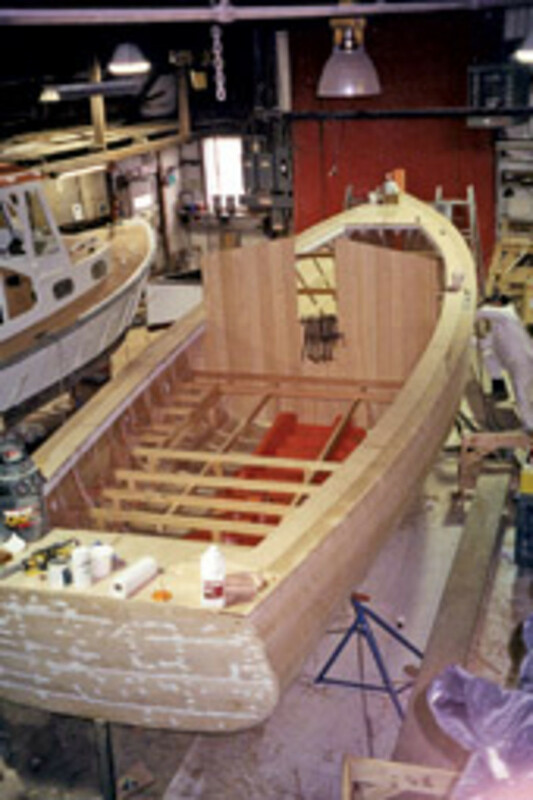 His goal back in 2000 was to design a “sailor’s powerboat,” as Hale puts it today. “A good, able powerboat of the type that I’d always admired, similar to a Down East lobster boat,” he says. “And I thought 30 feet was about as big as I wanted to handle at the time. 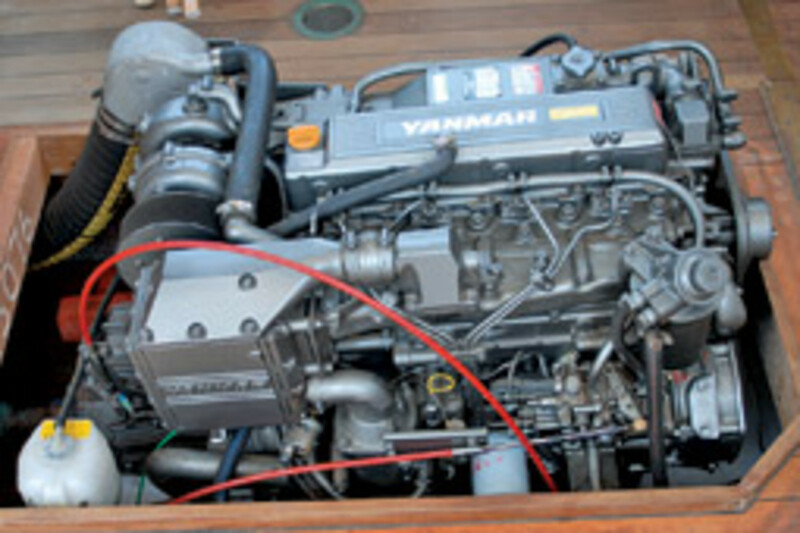 Power comes from a single Yanmar 4LH-HTE, delivering 140 hp. (Another modern touch.) 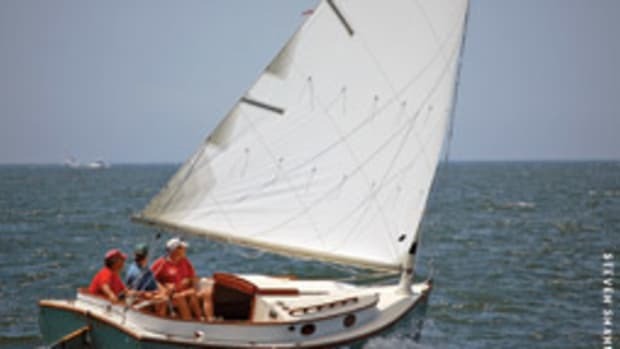 That gives the 30-footer a cruising speed of 9 mph with a top speed of around 12 mph at 3,000 rpm. 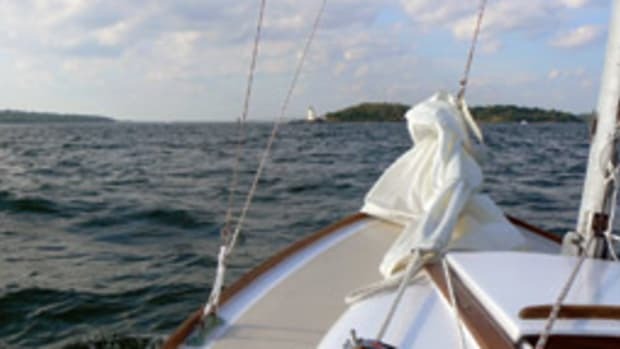 It burns about 3 or 4 gallons an hour and, with its traditional round-bottom, full-keel lobster boat hull, it runs with a pleasant, rolling motion, says Snyder. 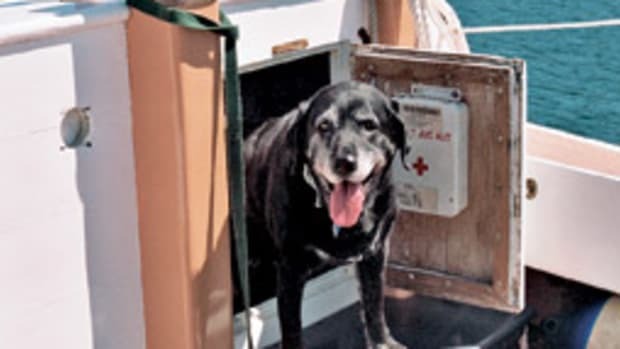 The boat is helmed from a starboard station in the wheelhouse that’s open to the side deck. The three-panel windshield and side windows provide protection for the helmsman while maintaining sightlines. The mahogany dashboard has room for a full slate of electronics, and the boat today carries a Garmin GPS/plotter, a Lowrance depth sounder, a Furuno radar and a Standard Horizon VHF radio. 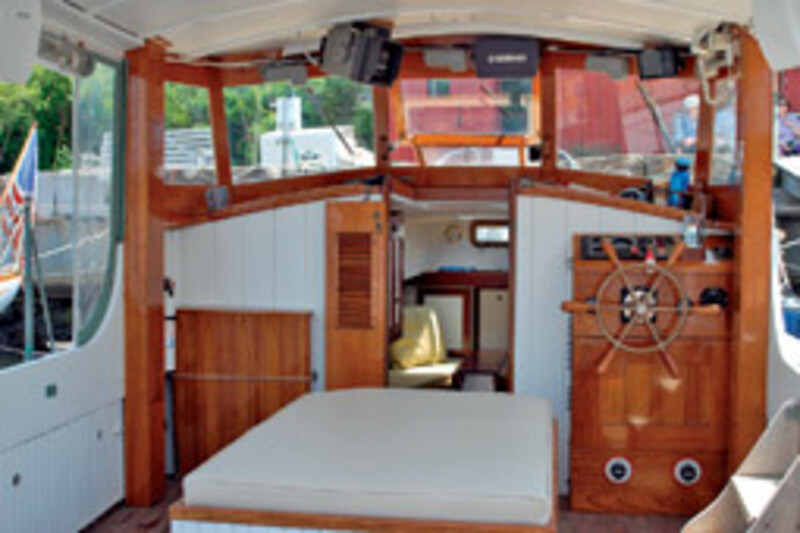 The cockpit is more than a third of the boat’s length and, combined with the vessel’s beam (9 feet, 6 inches), offers plenty of deck space for cruising activities like fishing or swimming, or entertaining dockside or at a raft-up. The engine box can serve as a table or, covered with a cushion, an extra place to lounge. The extended hardtop offers sun and weather protection and, with the drop-down curtains, the wheelhouse can be buttoned up pretty effectively. The simple accommodations (no hot water, no refrigerator) are “down” in the main cabin. Just abaft the forepeak lockers, there’s a V-berth and a sailboat-style drop-leaf table for dining. The enclosed head compartment has a marine head and a sink with foot-operated cold water. 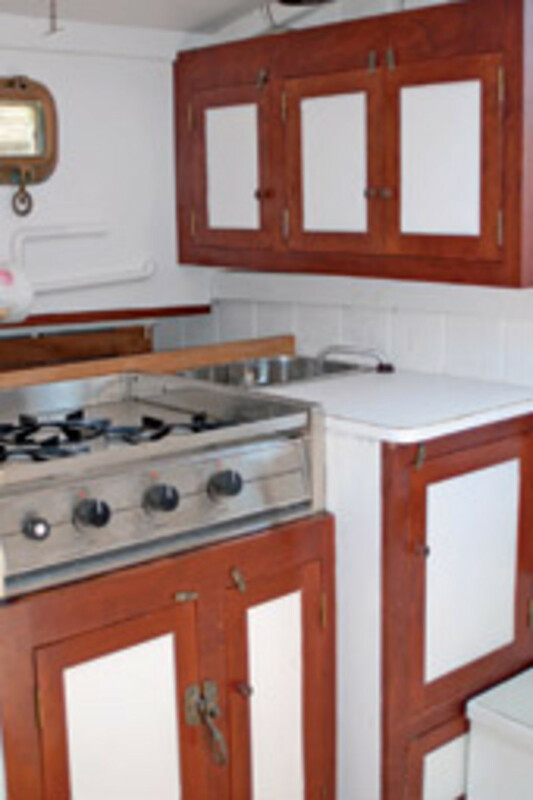 The galley has a three-burner CNG stove, and that third burner can come in handy on long cruises. 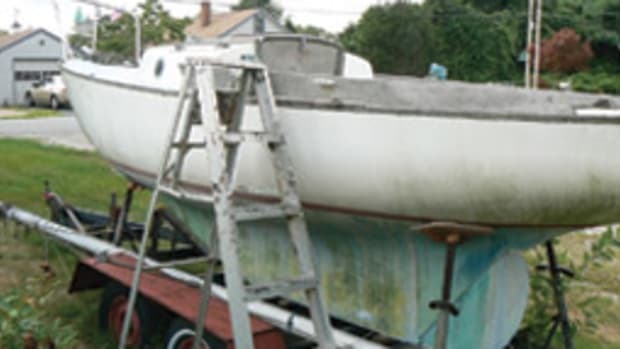 The overhead is gently cambered, like an old sailboat’s might be, and painted, along with the bulkheads, a marine white. It’s all offset by varnished mahogany trim and a teak-and-holly sole. Seven large bronze ports and two overhead hatches supply light and air. 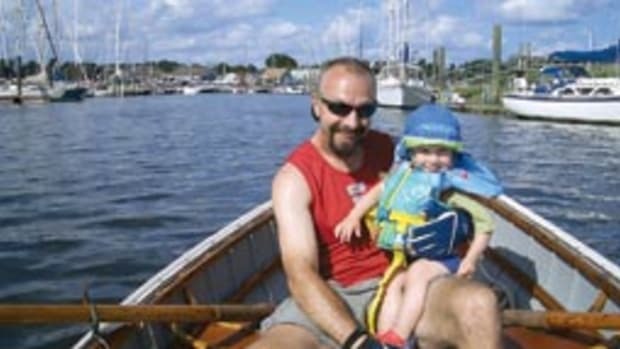 The lack of some household amenities hasn’t been a concern for Snyder and his wife, Sarah, during their three- and four-day cruises around southern New England. It keeps the boat’s systems to a minimum, and even adds to the fun. 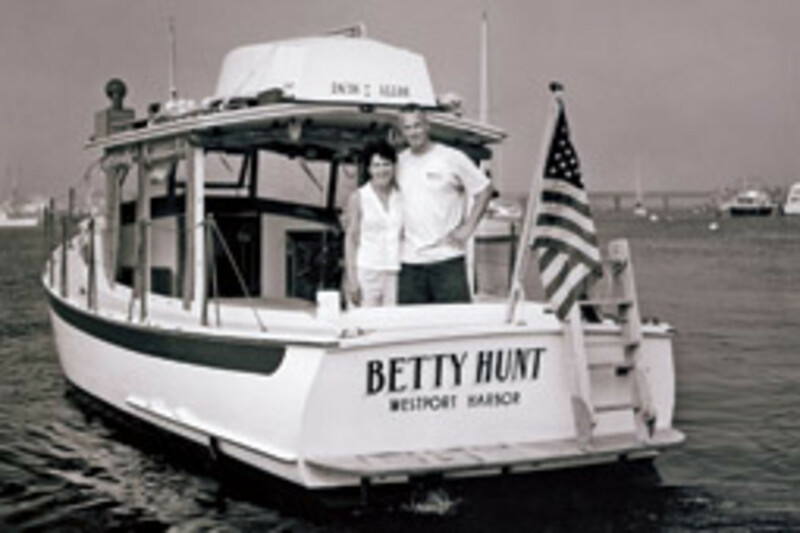 Still, Snyder admits, Betty Hunt (named for his wife’s elderly, feisty English aunt: “She moves a little slow, but she’s a sharp one,” he says) is not a boat for everyone. In today’s fast-paced, fiberglass world, boats aren’t necessarily prized for being graceful, simple, practical and down-to-earth. But as far as he’s concerned, these old values are exactly what make Tom Hale’s coastal cruiser so successful. More boat and less bling — what a concept.